The Calvert Family Day Care Association (CCFDCA) is a professional organization for Licensed Family Day Care Providers in Calvert County, Maryland. We are dedicated to professional growth through training and networking as a community. And provide free or low cost quality training to providers in the area. The Charles County Family Day Care Association (CCFDCA) is a professional organization for Licensed Family Day Care Providers who are registered by the Maryland State Dept of Education/Office of Child Care. Our mission is to provide & promote professional and quality child care services to families throughout Charles County. One of our many benefits is monthly trainings and networking opportunities. For child care providers interested in more information, please contact Clare Foss, Membership Coordinator at 301-645-0534. The Charles County Family Day Care Association, Inc. provides a free service for families interested in finding child care in Charles County. The Provider's Access Line (PAL) is a resource which parents may utilize to locate family child care providers who are registered with and approved by the Maryland State Dept of Education's Office of Child Care (MSDE/OCC). To contact a PAL's representative you may call 301-645-0534. This Center provides child care, family home care, pre-school enrichment programs, and before and after school programs for military dependents from ages 6 weeks to 6 years. The Office of Child Care (OCC) is responsible for licensing and monitoring all child care centers and family child care providers in Maryland. The Office of Child Care (OCC) also administers Maryland's subsidized child care program for working families, administers the state�s Child Care Credentialing System, and issues contracts and grants to child care providers to improve the quality of early care. This is the Southern Maryland branch of the Maryland Office of Child Care. They serve Calvert, Charles, and St. Mary's counties. Their primary function is to interact with local child care providers. They provide training and licensing information. Customers of local child care providers may also contact the office to verify if their provider is licensed or to file a complaint. The Promise Resource Center (formerly the Southern Maryland Child Care Resource Center) was founded on the belief that we as adults make a promise of sorts—to the children we care for, to ourselves and to society—that we will help raise each child to reach her or his full potential. Each child deserves the right to fulfill their own promise as a human being. With 30 years of service to Southern Maryland, we have long been the leading provider of training, resources and certification for those who care for children in the tri-county area (Calvert, Charles and St. Mary's). Specifically, we provide an array of resources to support parents, grandparents, foster parents, and licensed family and center child care providers. Our core purpose is to help provide a brighter future for children by educating and supporting their parents and caregivers. Gifts for Pets and the People That Love Them. 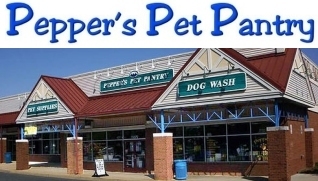 Located in Solomons Towne Centre.